Whether you’re looking to get away for a day or a week, we’ve gathered ideas for five trips — from cruises to rock climbing — that cater to children and adults with special needs, so that everyone in your family can have stress-free and empowering summer fun. Beach wheelchairs have large balloon tires that allow them to move through sand. Most are waterproof, and some even float in the waves. The Massachusetts Universal Access Program (413-545-5353; mass.gov/service-details/beach-wheelchairs) offers free use of beach wheelchairs for people with disabilities; the program’s directory lists every beach in Massachusetts that provides them. Salisbury Beach State Reservation (978-462-4481; mass.gov/locations/salisbury-beach-state-reservation), where the Merrimack River meets the Atlantic Ocean in Salisbury, has the most wheelchairs available for public use among the state’s beaches, with 20 sunbathing chairs — equipped with seat belt, footrest, and beach umbrella holder — and three floating chairs. Think your town would benefit from having a beach wheelchair? Submit a nomination to Small Miracles in Life Exist (617-967-7755; smilemass.org), a Massachusetts nonprofit trying to make recreation experiences more accessible to families with kids or adults with disabilities. Since 2009, SMILE Mass has donated approximately 20 floating beach wheelchairs every summer to beaches across New England. Specialized travel agency Autism on the Seas (800-516-5247; autismontheseas.com) partners with cruise lines to offer services for children and adults who have autism, Down syndrome, cerebral palsy, and other special needs. Vacationers can either purchase a trip with trained staff onboard on selected dates, or go it alone with the support of the organization’s free cruise assistance package, as long as the booking is made through its website. Services on the group’s staffed cruises include assisted beach excursions, expedited boarding, private events, reserved seating at meals and shows, and respite hours for family members looking to relax alone. Summer 2018 options include Royal Caribbean and Norwegian Cruise Line itineraries leaving from or stopping in Boston; Portland, Maine; and Bar Harbor, Maine. For vacationers headed to western Maine, Maine Adaptive Sports and Recreation (207-824-2440; maineadaptive.org) offers outdoor activities to individuals ages 4 and up with disabilities. Located in Newry, Maine, the center offers a variety of summer programming including one-day courses for paddling, cycling, golfing, tennis, and climbing. Those interested in trying one or more sports in a single day can register for Summer Adventure Days. Maine Adaptive also runs Veterans No Boundaries, seasonal programs for veterans and active duty personnel with disabilities and their immediate families. The four-day summer camp offers archery, ziplining, ropes courses, boat tours, and more. The best part? All Maine Adaptive programs, including the camp for veterans, are offered free of charge. If the Berkshires are calling to you instead, or if your summers are spent in Connecticut, find other adaptive sports programs at Adaptive Sports New England. Children 8 to 15 who are blind or visually impaired can experience 200 acres of nature at Camp Inter-Actions (603-319-6120; inter-actions.org), an overnight one- to three-week program in Kingston, New Hampshire. Activities span the gamut from music, pottery, and woodworking to boating, swimming, and fishing. For children and teens with chronic health conditions, programs — including seasonal overnight retreats and summer day camps — are available throughout the year at Zebra Crossings (603-312-2052; zebra-crossings.org) in Dover, New Hampshire. Youth can attend overnight programs of up to a week, either alone or with a sibling, or the whole family can go on a weekend retreat. Summer activities include canoeing, paddleboarding, archery, arts and crafts, and swimming. Medical staff is trained to care for children with conditions including asthma, Down syndrome, autoimmune disorders, epilepsy, heart defects, and diabetes. Camp Inter-Actions and Zebra Crossings are both listed on Very Special Camps, a database of overnight programs for children with special needs across the United States and Canada. 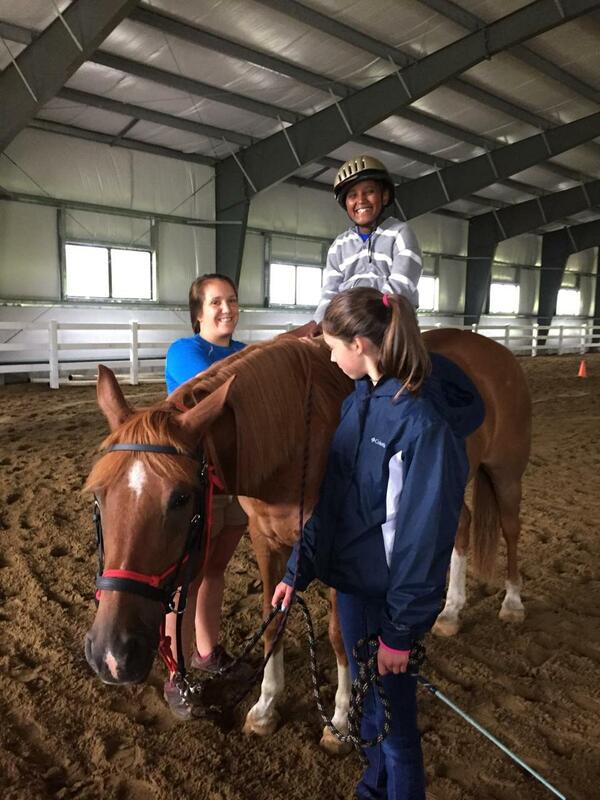 An adaptive horseback riding program at Smugglers’ Notch in Vermont. Families who stay in Smugglers’ Notch Resort (802-370-3186; smuggs.com) in Jeffersonville, Vermont, may also purchase Smugglers’ Notch Adaptive Programs for children with special needs. Summer day camp activities include tailored activities such as guided hikes, dancing, yoga, rock climbing, sing-alongs, and more. It also provides each child with a personal counselor and works to integrate children with special needs into group activities around the resort — leaving time for caregivers to put up their feet or enjoy a solitary moment poolside. Vermont Adaptive Ski & Sports also runs year-round programs, including summer canoeing, sailing, cycling, and horseback riding, at Pico Mountain (802-353-7584; picomountain.com) in Killington and at Sugarbush Resort (802-786-4991; sugarbush.com/plan/adaptive) in Waitsfield.